Del Lago Resort & Casino was opened two months ago on Feb. 1, 2017 and since then the company has reported its best weekly financial performance. 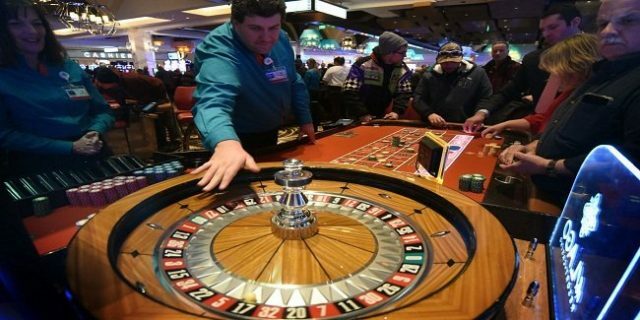 According to a report of state gaming commission, the company’s pre-tax revenue was $3,415,157 in the week of April 17-23 and this was their second highest weekly revenue since they have opened to business. The first weekly best performance for the casino was Feb. 20-26, when del Lago reported more than $3.7 million. The casino has also reported that that they have reduced operation slot machines and table games at the casino. According to the details, there were 2001 slot machines and 77 table games were working at the time when they opened on February 1, 2017, but they have just 1,976 slot machines and 63 table’ games being in operation now. del Lago also reported a bit slightly fewer games on its casino floor. The Casino reported that the amount of credit played on their slot machines was $32,642,920 which is highest total since the casino is in operating. Since the opening the casino’s gross gaming revenue was $2,393,794. Meanwhile the average daily payout is $173. 12 poker tables of the casino have generated $50,050 of pre tax revenue. The casino is already accepting reservations for its newly opening 205 room- hotel. The resort is supposed to be open in this summer. Take a look at usa online casinos if you are looking to play online casino or slot games in united states. There are plenty of good sites available for you to check out.